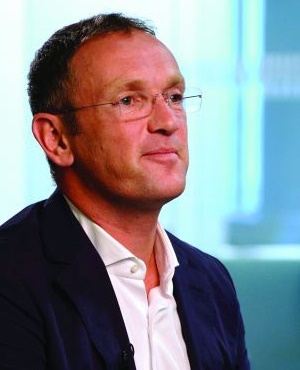 Cape Town – Naspers CEO Bob Van Dijk told Fin24 on Friday evening that, after posting increased revenue and headline earnings in its latest results, the company would seek to continue investing in electronic commerce providers. Naspers [JSE:NPN], which owns Fin24, announced on Friday that its core headline earnings grew by 72% to R33.6bn ($2.5bn) as the company released its financial results for the year to 31 March 2018. Revenues, measured on an economic interest basis increased by 38% year-on-year (y/y) to R270bn ($20.1bn). In recent years Naspers has benefitted greatly from investments in e-commerce businesses around the world, particularly China’s Tencent. During a recent investor day seminar Naspers CEO Bob Van Dijk said the company had a strong appetite to hold on to these investments. “We see many exciting opportunities in our core sections. Classifieds have valuable models for customers. We are looking to do more of that in different parts of the world,” said Van Dijk. He told Fin24 that the company was looking at business solutions that made it easier for consumers to buy and sell their goods on an electronic platform. Van Dijk said one of the many opportunities Naspers was eyeing was financial service solutions for people who do not have access to credit in emerging economies such as India. “We buy and sell many businesses. The best example is one we have called OLX, which was founded by an Argentinian. He went to do something else when we bought it. We stayed on good terms while he started a new company called Letgo. We have shown ourselves to be good at investing in businesses because we have done it more than once,” he said. He said Letgo – the only classifieds business that did not turn a profit – was still in the early investment phase and that Naspers would remain committed to it as its prospects for a profit continue to rise. He said the upcoming merger between electronic fashion retailers Spree and Superbalist could shake up the traditional fashion retail industry in South Africa. “Spree and Superbalist have great numbers in electronic customers, but in overall fashion they are tiny. We want to drive home that it is a cheaper way to shop for clothing. We hope to combine these businesses and get that to be a real growth business as an easy and better way to buy fashion,” he said. Naspers CFO Basil Sgourdos said classifieds, business-to-consumer, payments and food delivery contributed to an acceleration in e-commerce revenue growth by 25%. “Increased scale trimmed the e-commerce segment’s trading losses by 8% to R9bn ($673m) and resulted in a considerable improvement in trading margins," he said. Sgourdos added that the classifieds businesses, excluding Letgo, turned profitable and cash generative during the year. Naspers also said its businesses outside South Africa contributed 84% of revenues, compared to 80% a year ago.